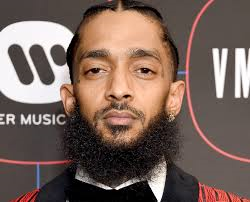 Grammy-nominated rapper, entrepreneur and advocate for his native South Los Angeles, Nipsey Hussle was beloved globally. From his chart-topping hits to the consistent investment of his earnings into his Los Angeles neighborhood, the nation mourns the passing of Nipsey. BET Networks will commemorate his life and legacy by broadcasting Nipsey’s funeral service in its entirety beginning Thursday, April 11 at 1 PM ET on BET and BET Digital. BET’s commercial-free, live coverage, “BET REMEMBERS: NIPSEY HUSSLE,” will be anchored by BET News’ Marc Lamont Hill who will be joined by entertainment journalist, Gia Peppers.